Looking to infuse your day with a bit of culinary adventure? Jonesin’ for a gourmet meal at a blue-collar price? Have a hankering for a hearty sandwich after a long hike? Well, you needn’t look further than the local to-go scene. You see, “fast food” isn’t what it used to be—especially in this community—as local vendors take pride in their gourmet offerings. Around here, fresh, locally sourced, in-season sustenance with delicious flavor combos won’t break your bank. Your biggest challenge will be choosing which one. Sweet Cheeks uses locally sourced ingredients whenever possible, including Cosmic Apple Gardens produce, loads of farmers market goods, and locally raised whole animals. With offerings like the chile verde breakfast sando, a green curry sausage bahn mi, and old-fashioned diner-style smash burgers, you know each meaty bite will be packed with irresistible flavor. Make a stop at Sweet Cheeks Meats and fill your pack for the trail or the office. Find them on Instagram @sweetcheeksmeats. 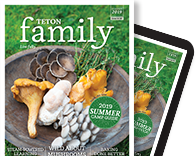 On the Idaho side of the Tetons, John Perry (aka “Johnny Darkhorse”) and partner Tara Dolson serve soul food sandwiches and more—done right. The unassuming shack and ’59 Airstream Star Bar that make up the physical location of Chops in Driggs offer regular favorites and seasonal specials. Customer picks include the grilled pork chop sandwich with cranberry barbeque sauce and apple slaw. Or try the Kitty Ninja Melt with charred zucchini, caramelized onions, sagebrush smoked provolone, and tomato juniper jam on griddled multigrain bread. Other popular items include the Gheezer (a goat burger) and the Club Cubano. Johnny knows how to make local ingredients shine with specials that include meat from Thistle Brooks Farm, beef from Teton Valley Longhorn, produce from Full Circle Farm, fresh-baked bread from 460Bread, Teton Coffee Company coffee, seasonal fruit from Woods Garden, and wild mushrooms from independent foragers. Voted “Best Lunch Spot in 2018” in Teton Valley News’ “Best of Teton Valley” roundup, Chops has definitely found a recipe for success. “I think the fact that the food is unique, well-seasoned, served in substantial portions, and made with love are the reasons locals return and visitors end up finding us,” says Perry. 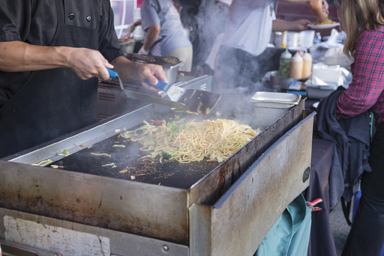 Look for these vendors at outdoor festivals and events, or book one for your private event. for everyone, like tacos, sandwiches, and salads made fresh to order. 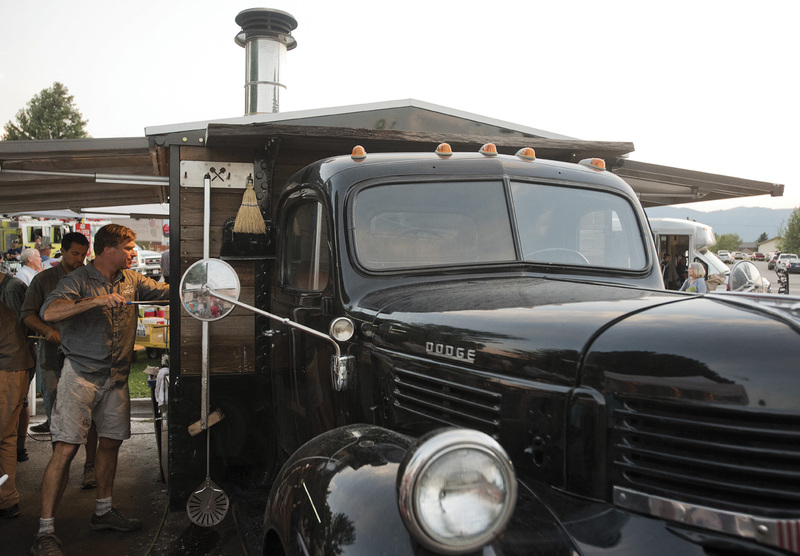 Catch them seasonally outside Grand Teton Brewery in Victor.